Focused Practice. Instant Feedback. Documented Progress. SmartMusic is the award winning software used by music educators around the world to enhance their programs and provides a way to dramatically improve their students’ skills. Student practice is focused because they receive immediate feedback while listening to their performance and seeing the correct and incorrect rhythms and pitches onscreen. It also allows the teacher to provide students with the individual instruction and customized feedback needed to get better faster. Students are also able to hear their part in context with SmartMusic’s professional background accompaniment, giving them a pitch and rhythmic reference when practicing at home. 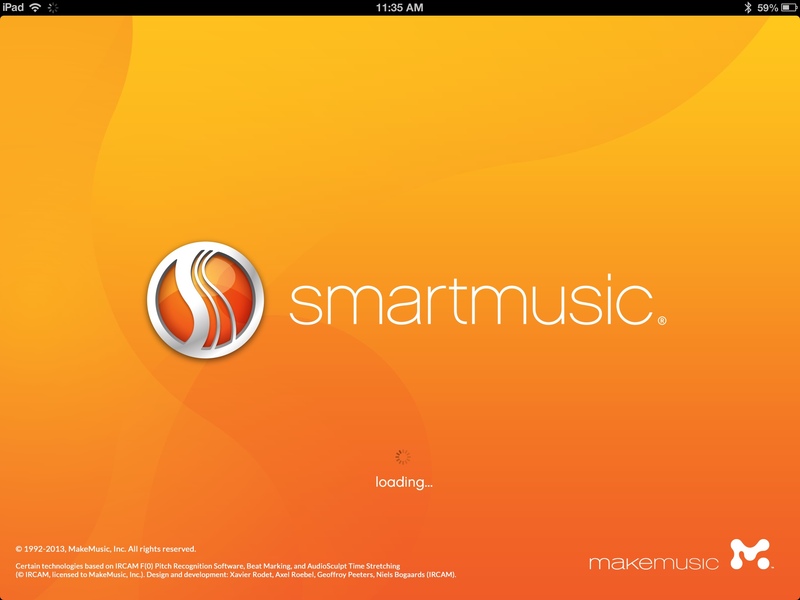 SmartMusic is purchased as an annual subscription, which gives your student access to the largest digital sheet music library with accompaniment in the world. Subscribers sign up for classes designed by their teachers, and receive practice materials tailored to their specific needs. This allows students to receive the individualized instruction necessary to improve at a faster pace. SmartMusic is available to band, string, and vocal students of all ages and skill levels, and is supported on iPad, PC, and Mac. Click here to visit Smart Music Website and order your subscription! This entry was posted in Secondary Features. Bookmark the permalink.